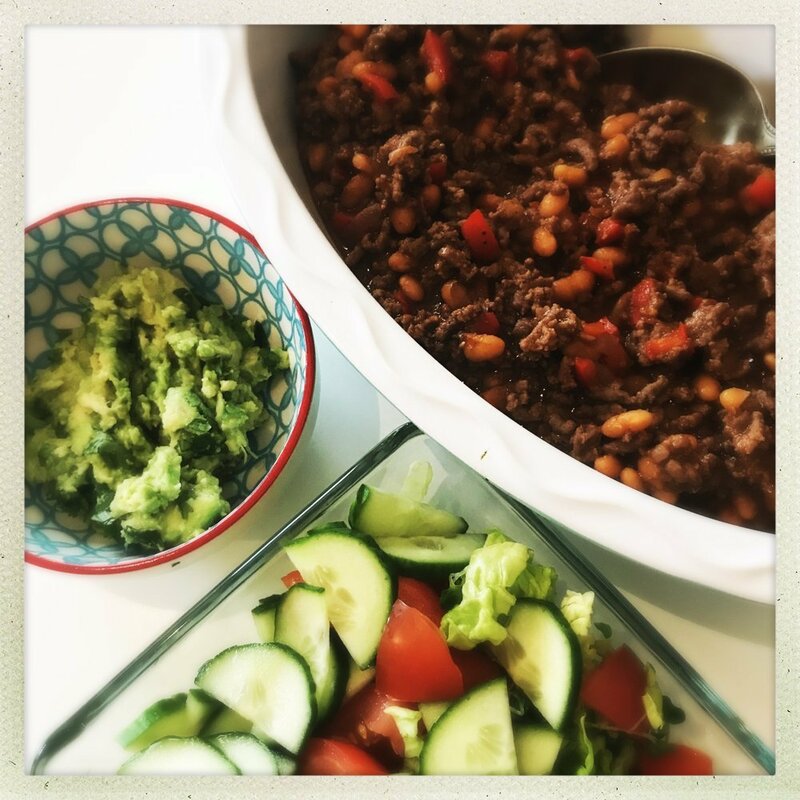 20 minute beef and baked bean chilli is one of those quick and easy family meals and it pretty much looks after itself once you’ve thrown everything into the pan. Great for busy weeknights when you want real food that fills the kids up. Add a drizzle of olive oil to a large pan over a medium heat. Toss in the garlic, peppers, onions and mince and gently stir for 5 minutes to brown all the mince. Once browned tip in the baked beans, lazy chilli and cumin and stir well to combine everything together. Bring to the boil, then reduce the heat and simmer for 15 minutes or until the mince beef is cooked through. Throw in more veggies – try courgettes and mushrooms. Need it to feed more people – add another tin of beans. Want more heat? Throw in some more chilli. 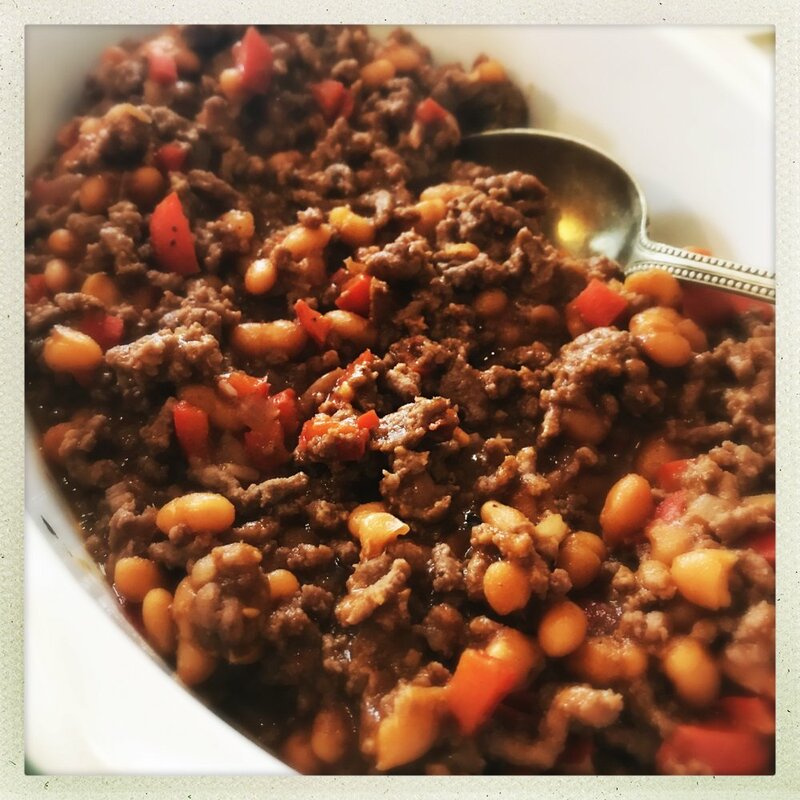 Use turkey mince instead of beef mince. Add a side salad and a quick freshly made guacamole. Serve alongside nachos or boiled rice or tuck inside baked potatoes. Load into soft flour wraps with grated cheese, soured cream and salad.